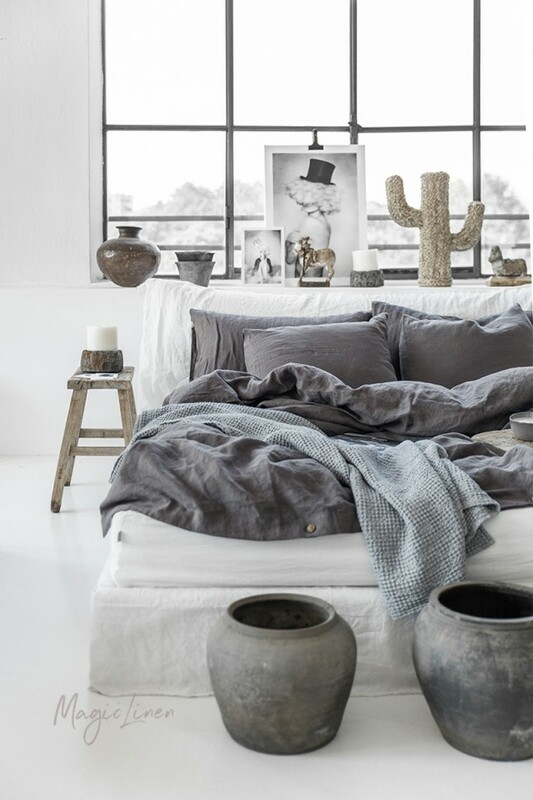 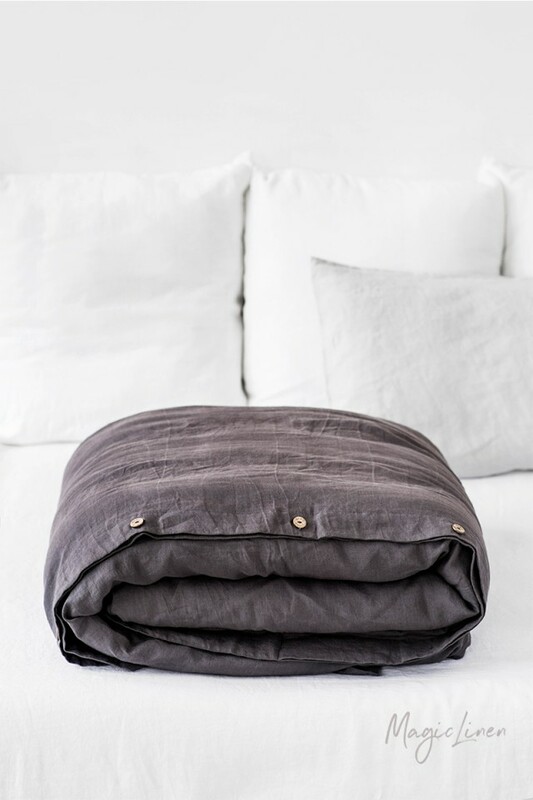 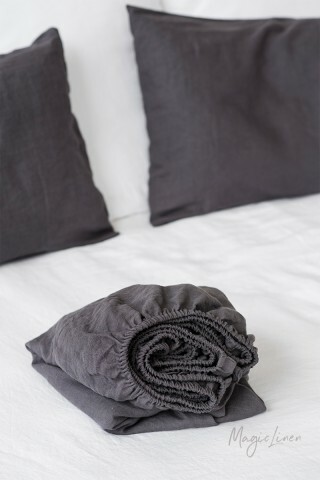 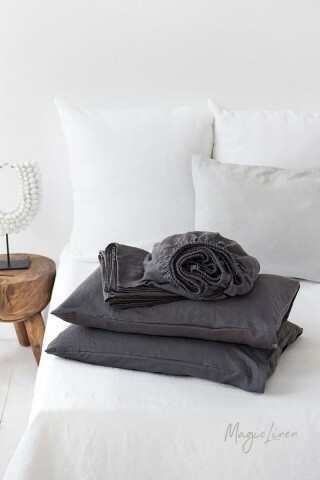 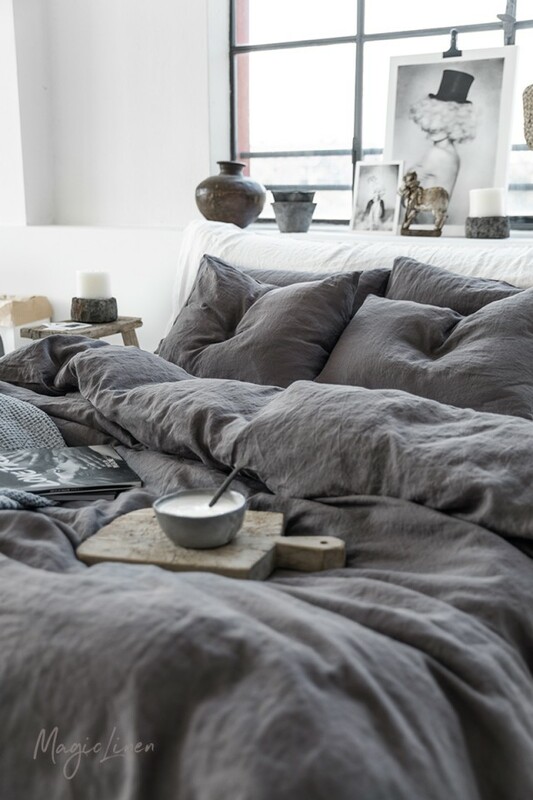 Linen duvet cover in charcoal gray color. 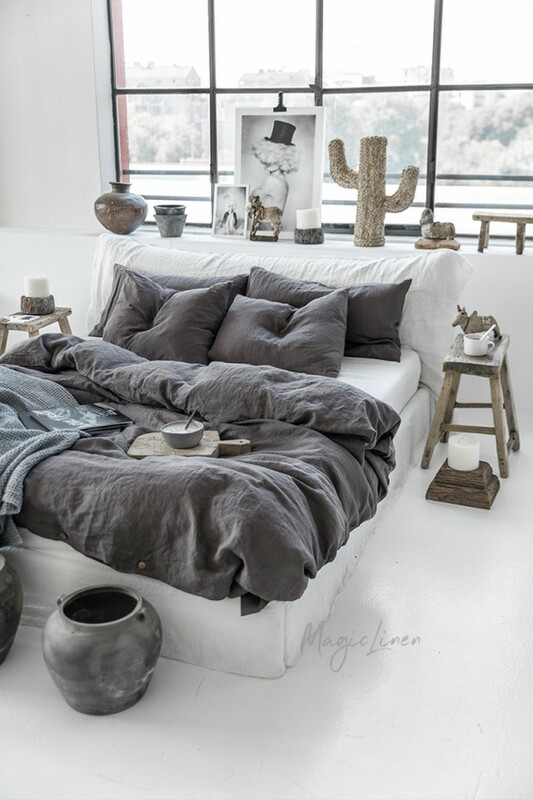 This color has the unique ability to shift depending on the amount of natural light in the room: it can go from washed gray to subtle purple tones. 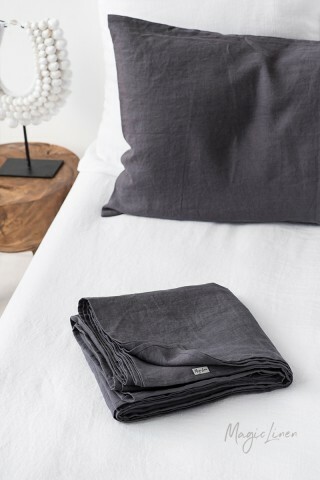 Perfect for unisex bedroom decor and easy to mix and match with other colors and patterns.